Watch the video! the Thai commercial is soooo cool, or maybe I'm just hit with Thai-fever. I was just youtubing Listerine's latest mouthwash the Listerine Natural Green Tea, curious to see what the commercials up to nowadays that I don't watch tv anymore. Having to recently moved in to the TTDI neighborhood after 3 months of renovation, I'm proud that I have a fabulous master bathroom even if it's a small one (even after extending!). Check out my bathroom below. What do you think of my humble bathroom? 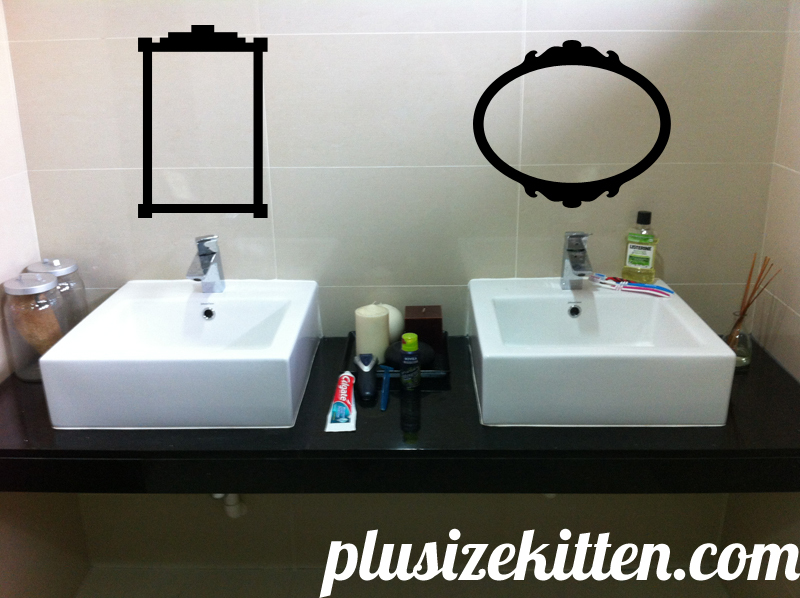 I'm planning to install mirrors soon on the wall so it reflects the whole shower area, giving an illusion of a bigger bathroom. I haven't put up anything on my sink area yet. 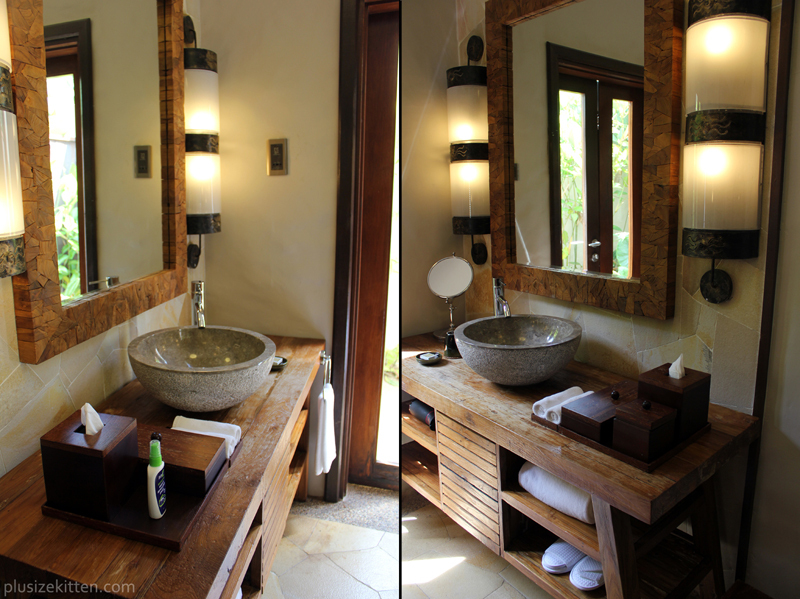 Need to buy like really nice clay or glass toiletries to decorate the area to be more Zen-like. Sorry looks pretty messy atm, with toothbrushes and toothpaste around. You can spot my Listerine mouthwash on that sink (toothpaste is not enough to prevent tooth decay). These are the must haves in my bathroom every morning and night before I sleep. I bought the 250ml size @ RM9.90 from Guardian Tropicana. The 750ml @ RM22.90 (also on sale at Guardian for RM20 now) was tempting but so heavy to carry. Plus with every purchase of a 250ml or more, Listerine will contribute RM2 to charity. 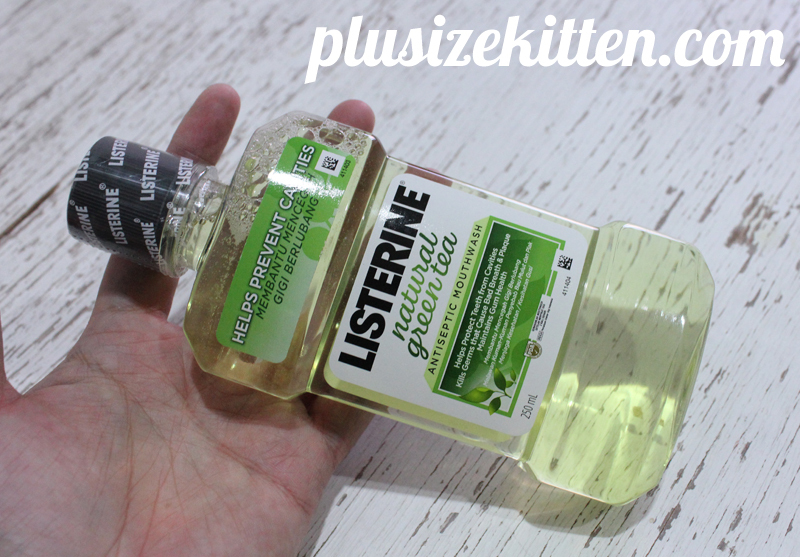 You can find out more by visiting Listerine's website http://www.listerine.com.my/. I've tried all the Listerine "flavors" in the market and so far my favorite has been the orange one which is so zesty in my mouth! feels like a pop soda (warning do not drink like soda). Trying the latest flavor, natural green tea gives me a different sensation. Introduced to help address the concern of dental cavities with a natural-based formula, the natural green tea flavor is definitely milder compared to the other flavors and has a refreshing taste. Containing double dosage of fluoride and green tea ingredients to strengthen weak tooth enamel, while forming a coating shield to make teeth even more cavity-resistant. I still prefer the orange one :D haha maybe because I'm no fan of green tea. original one is classic yeaaaaaaaaahhh!!!! i wonder when will they come up with ice-cream sundae flavor.. ahem or macaroon flavor..
yeah...keep following your blog...start to dream for my future house (if affordable to have one). this type of sink is trend now, can see everywhere. with a huge glass as the Bali pic and covered the bottom of sink with cabinet to hide the pipe. Congratulation мs. вавз чuмıкo Van Drop good posting.I review your blog posting.Solar power is very important.solar power.Its really essential.